On Monday Mar. 16, the Mi’kmaq-Wolastoqey Centre (MWC) will host the first Annual UNB Mawio’mi/Siqonawsultipon (Powwow): Honouring & Sharing Mi’kmaq & Wolastoqey Cultures, which will take place at the Richard J. CURRIE CENTER, UNB Fredericton, from 9:30 a.m. to 5 p.m.
David Perley, director of the MWC (formally the Mi’kmaq-Maliseet Institute), says he’s is proud to host this historic pow wow gathering on the UNB Fredericton campus as it will provide a unique opportunity for the public to participate in and celebrate Mi’kmaq and Wolastoqey culture and traditions. “We are honored to be celebrating Mi’kmaq and Wolastoqey cultures on campus, which is actually located on traditional Wolastoqey territory,” said Perley. The day will begin at 9:30 a.m. with a welcoming to UNB and a ceremonial opening prayer. Throughout the morning there will be traditional storytelling and songs by invited Elders. Following, there will be a cultural presentation on the Evolution of the powwow dance, which will illustrate the cultural significance of a powwow gathering. This serves as a great transition leading up to the start of the powwow at 12:30 p.m. when the grand entry begins. 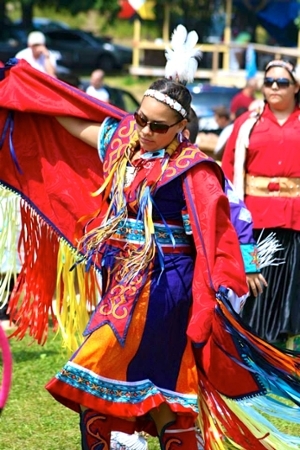 Throughout the afternoon, the powwow will feature traditional First Nation drumming, chanting, and dancing, with dancers in full ceremonial regalia, fun cultural activities for children, and vendors that will be selling traditional foods and First Nations art and crafts. At 5 p.m. there will be the grand exit, which brings a close to the powwow. This is a free, public event and parking will be available in the Richard J. CURRIE CENTER parking lot. Vendors must register with us before March 10, 2015. Dancers are also encouraged to register with us prior to the event, but can also do so on the day of. Please note: This event will be videotaped and photographed for promotional purposes.